A comfortable direct journey to our hostel in San Sebastian. *This service it's available from 3 persons. If two days before we dont achieve 3 or more persons we will cancel pick up service and we will mail you warning about cancellation. Staying at Green Nest Hostel is like being at your friends house. We want to welcome you and be with you since the moment you arrive at San Sebastian train or bus station so you will have nothing to worry about but to enjoy yourself. Contact us for more information. 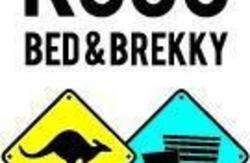 Green Nest Hostel is a hostel, which is economically and environmentally friendly . We offer you the combination of the affordable prices with modern design all at once! Our aim is to make you feel comfortable and relaxed while using the best and modern facilities. Enjoy the nature and the peace; we are situated at beautiful Ametzagaa park. 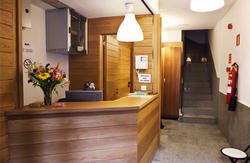 Green Nest Hostel is an alternative Eco-hostel, super modern, cheap and sustainable. Traveling can be fun, comfortable and doesn't have to cost a lot! In Green Hostel you have free WI-Fi to connect with your friends or just plan your journey. Our hostel offers you facilities like heating, washing machines,dryers, free parking and computers. You can relax on the terrace, taking sun or reading a book, playing darts or foosball in the common area, on the third floor. If you want to cook or make a hot chocolate before going to bed, there is a kitchen, but if you dont like cooking, dont worry , because there is a restaurant on the ground floor. Yes, everything is here! Green Hostel is greener that you think! Not only because we painted our building green, but also we are nature friendly! Our building is using biomass heating system. Hot water and heating sources are generating heat from biomass boiler and we also using solar panels, that reduce environmental pollution. On the top of that, we are situated in the middle of one of the best parks in the city! You can enjoy the nature just only a few steps outside the hostel. Right outside the hostel, there is a concrete playing field, where you can play football or basketball, or if you want to, you can go for walk or go running. Fancy swimming or surfing? Thats no problem, we are only 4,5 km away from the beach! For people, who come to do any water sport, we have a place to store their equipment. To get better access to the beach is currently being solved with agents from the Cluster Surf City Donostia in order to make it easier to transport people and their baggage. San Sebastian is a lively, active and sports-loving city with its own cuisine! Try Pinxos in the old town and also do not forget to ask for Sidra in local pub! No worries, if you dont know what to see and where to go in the city, ask our staff,we will do our best to make your stay in San Sebastian unforgettable and pleasant. We want yo to offer an accommodation, which is economic and really comfortable. Every room and area of our hostel has free WiFi. Bed sheets and linen are provided and in all dorms are security lockers, reading lights and bathrooms with 24hrs hot showers. All the rooms are equipped with heating. There are also towels for our guests with 1 cost (we ask deposit of 6 and we will give you back 5 when you return it). 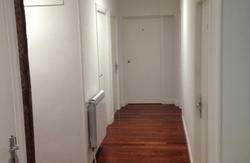 We offer you 4 or 6 dorm en suite,which are shared rooms or a private room, a double/twin en-suite. On the third floor you can find our common area with a kitchen (with fridge and freezer, microwaves), lounge and a terrace to relax or meet other travellers. On the ground floor there is a reception with free of use computers and a restaurant. 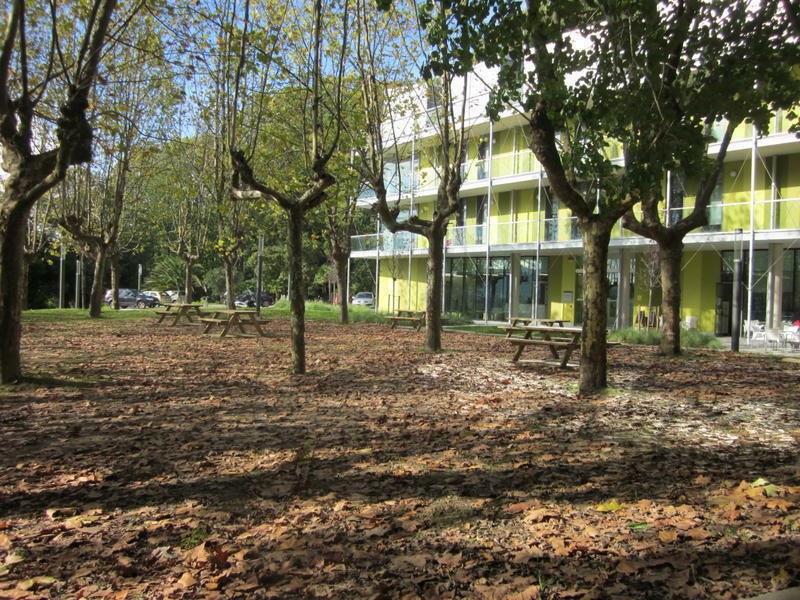 Green Nest Donostia is located in Ametzagana Park, 30 minutes from the city center, surrounded by trees, green fields and bicycle paths. You can relax and enjoy the nature or if you are the mood going to the city center or to the beach, just take a bus or local metro. We will help you to find the easiest and fastest way how to get to the city! Cancellation Policy: free if cancelled 48 hours before arrival. If not, the hostel charges 100% of the first night. from S. SEBASTIAN City Center to our hostel, take the local metro(EUSKOTREN) from Donostia Amara stop, get off at INTXAURRONDO stop and then go straight, pass the square and cross the road, you will see in front of you paseo Otxoki. Here, on your right side you will see an entrance to Ametzagaa Park. Go in and walk approx 10 mins. (always to your right hand) to the next exit that will bring you to our hostel. Biarritz Airport Hendaye San Sebastian: Take ATCRB company buses No. 876 or No. 875 to Hendaye railway station. In Hendaye go to the EUSKOTREN station (next to TGV) and take the train to INTXAURRONDO station. www.euskotren.es Leave the station, cross the square and the street in front of you (Paseo Otxoki) and come in the Parc of Ametzagaa. Walk approx.10 minutes to the next exit (always to your right hand) that will bring you to our hostel. FROM SAN SEBASTIAN AIRPORT (HONDARRIBIA) TO SAN SEBASTIAN: Take the bus E21 to Guipuzcoa square, located between El Boulevard and La Avenida de La Libertad. From El Boulevard you can take bus No. 26 that will take you to Renfe Loilola stop. Look for a hostel yellow arrow pointing sign indicating the direction to Green Nest Hostel. The square Pio XII represents the main entrance to the city. From this point you will start to see our yellow pointing sign that will show you the way and bring you to Green Nest Hostel ( Pio XII Anoeta football stadium Loiola Txomin-enea).